There’s a cool post on the Tor.com blog showing all of my sketches from Seanan McGuire’s Wayward Children series. I absolutely love the series, and so every time I get an assignment to illustrate one of the books, I go a little crazy and give AD Irene Gallo many *many* prelim sketches. 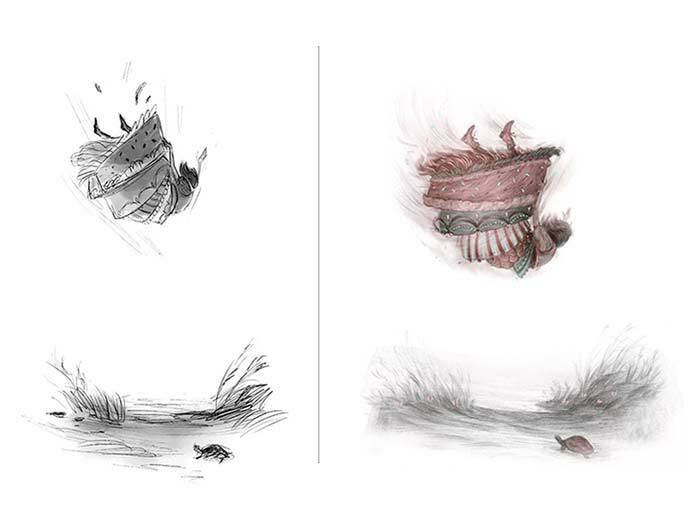 Only 3 sketches are taken to final for each book, but the blog post gathers together all the previously unseen sketches, so you can see the ones that didn’t make the cut. 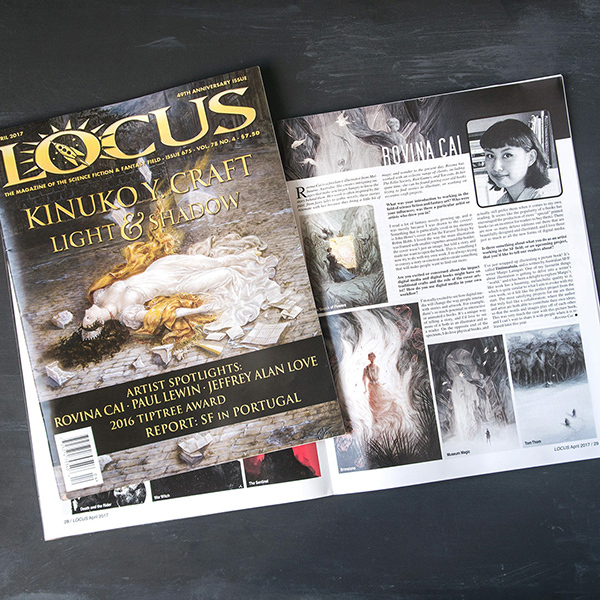 There’s a small interview with me in the April issue of Locus Magazine. You can also read it online here. They did a feature on legendary illustrator Kinuko Craft, and included some mini-interviews with other illustrators as well. I am thrilled to be included alongside Jeffrey Alan Love and Paul Lewin.